The revolutionary Capillary Concrete® bunker lining system is taking golf courses worldwide by storm and Border Sports are pleased to announce that we are the UK distributor for this innovative product, to see the full story please go to our latest news for further information. We would love to hear from you telling us what you think about so please contact us to get in touch. If you require any more information on any of our products or services you can also get in touch with us to find out more. Information on our services page will be coming soon.... While you are here why not browse through our products on our products page? 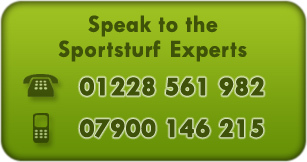 You can also contact us for more information on our specialist sportsturf services and products.